A romantic dinner cruise for two or a group of friends awaits you. 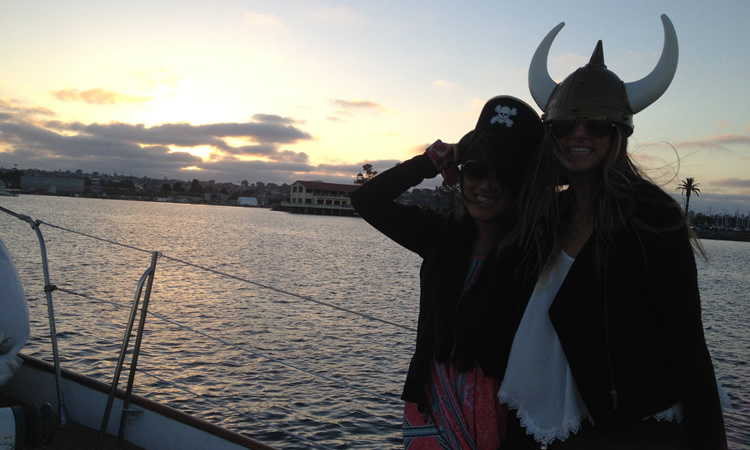 Book a romantic dinner cruise about San Diego today on our classic boat today! Want to enjoy fine dining out on the water of beautiful San Diego? Sip on sparkling champagne as you watch the sun set? Wait no more! We will cater to your every desire. Charter our boat for a unique dining experience with a loved one or a group of your favorite people. They’ll be delighted by our professional crew catering to their needs. 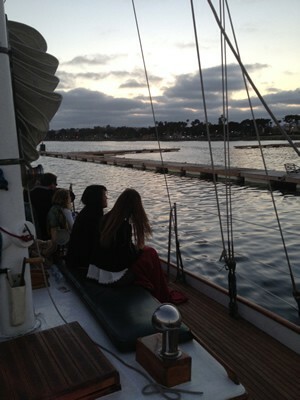 Aboard a beautiful classic wooden yacht, JADA passengers can relax at the end of the day on a sunset dinner cruise. In addition to champagne cruises, Sail JADA Charters offer other types of private sailboat charters and public sailboat charters such as memorials at sea, weddings and whale watching in San Diego. Call (858) 222-9479 to learn more today.